When I can't think of what to eat for breakfast, I often default to peanut butter and jam on toast. There's nothing wrong with a classic breakfast standby, however there are so many other creative ways to eat your peanut butter. 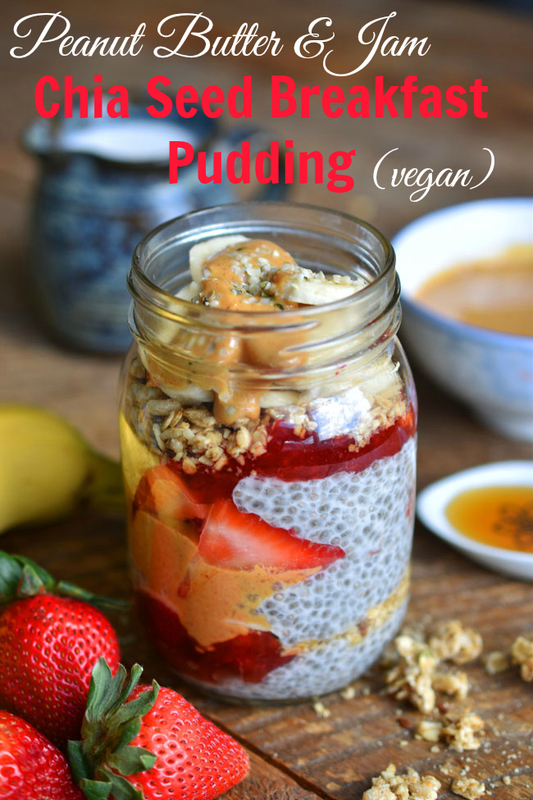 Take this Peanut Butter and Jam Chia Seed Breakfast Pudding for example. This recipe may not be as quick to prepare as Pb&j on toast, but with a tiny bit of work the night before, it's pretty darn easy and provides a filling, energizing, nutrient-dense breakfast. 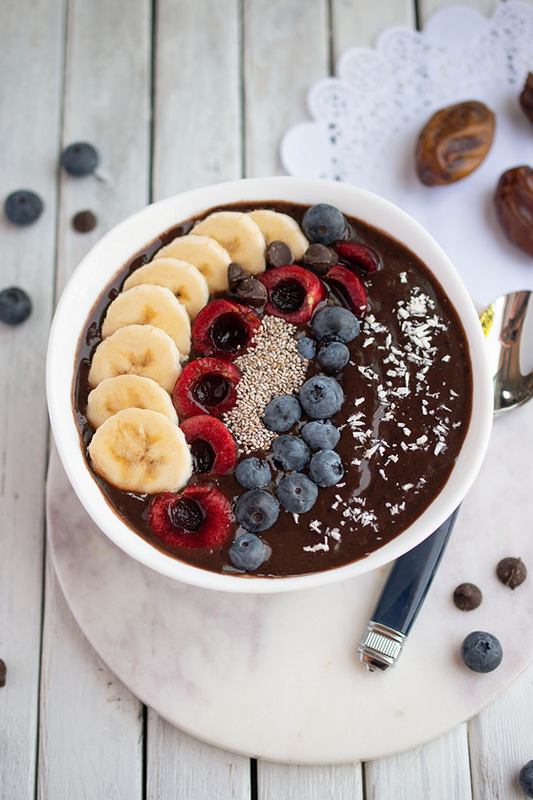 This chia seed pudding starts off with - you guessed it - chia seeds. Maybe you're sick of hearing about chia seeds by now, but there are several good reasons these tiny superfoods are so popular. A great source of fibre and healthy omega-3 fats, chia seeds also contain calcium, phosphorus and manganese. 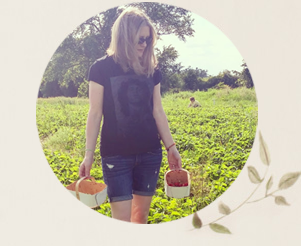 In You Staying Young, authors Michael Roizen, MD, and Mehmet Oz, MD, note that chia seeds have higher antioxidant activity than any other whole food. Sounds like a good reason to eat more chia seeds! If you haven't yet added chia seeds to your diet, an easy way to start is to throw a teaspoon of them into your next smoothie. You don't have to soak them and you won't even notice they're there. My overnight chia seed pudding pays homage to my breakfast standby - Pb&j - with the addition of Kraft All Natural Smooth Peanut Butter. It's made purely from roasted peanuts - no salt, sugar or additives of any kind! It's creamy, easy to stir and super tasty too. Be sure to read on to enter the #KraftPeanutBetterIt contest (with a grand prize giveaway worth $500!) below. 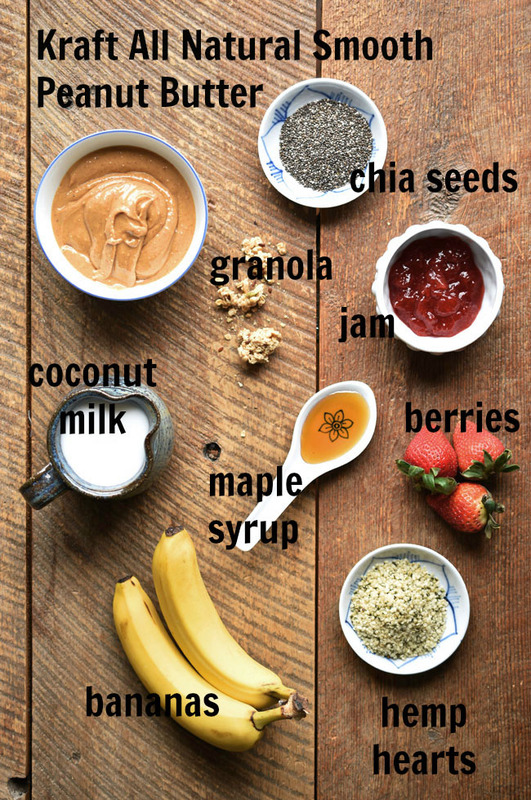 Here are the simple and natural ingredients that come together beautifully to make this satisfying chia pudding: Kraft All Natural Smooth Peanut Butter, chia seeds, coconut milk beverage, maple syrup, granola, berries, jam, bananas and hemp hearts. These ingredients make for a good mix of healthy proteins, grains, fruits and tasty sweeteners. 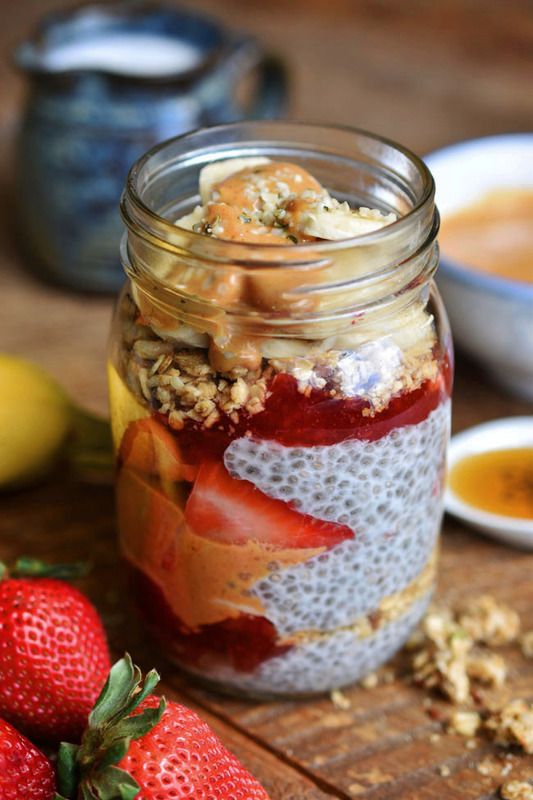 Although this Peanut Butter and Jam Chia Seed Pudding can be eaten any time of day for a healthy snack, it makes a fitting breakfast food most of all. Put the chia seeds, coconut milk beverage and maple syrup in a container overnight and your pudding is virtually ready for you by morning! 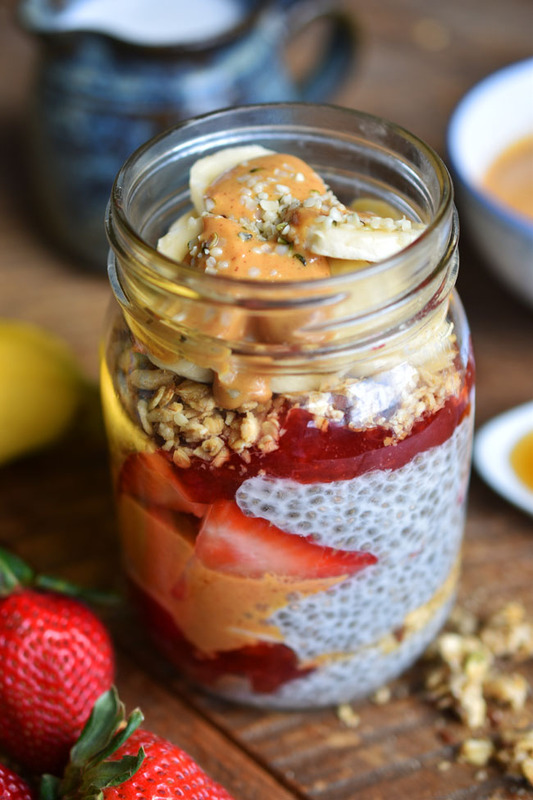 Simply layer the chia pudding with the other ingredients for a filling breakfast you can easily take with you to eat at work or on your commute. 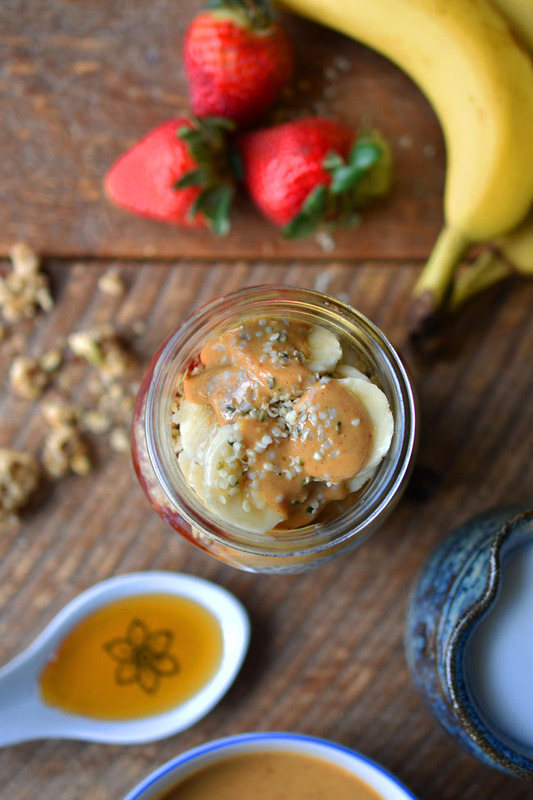 I like to alternate layers of chia pudding in a mason jar with the strawberries, bananas, peanut butter, jam and granola. Put on the lid, grab a spoon and you're off! 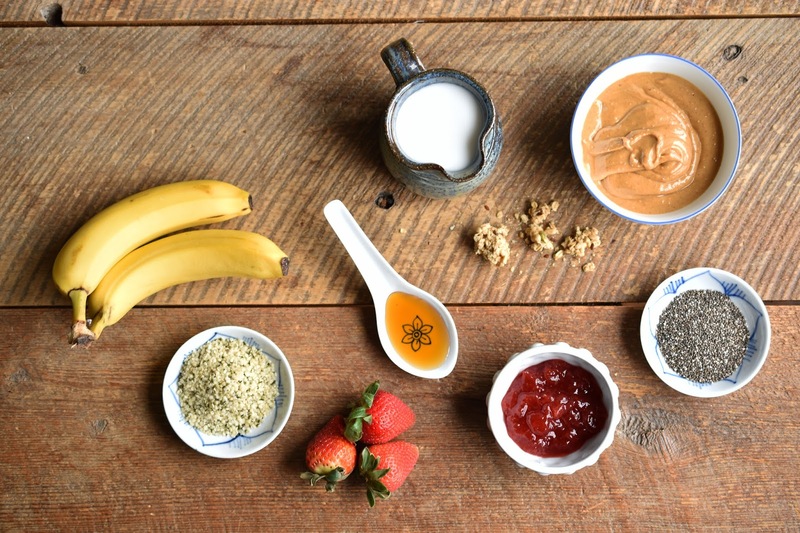 Top this tasty breakfast meal off with a dollop of Kraft All Natural Smooth Peanut Butter and a sprinkle of hemp hearts (which are a great vegan omega-3 source with high protein too). If you are looking for a healthy, non-dairy, peanut butter "ice cream" recipe that even works for breakfast (and who isn't? ), head over to this post. 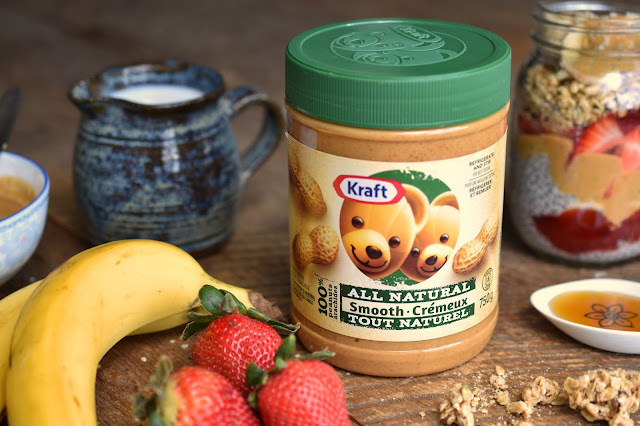 These are two fun examples of how you can enhance your favourite recipes, snacks and drinks with Kraft Peanut Butter. So next time you want to spread peanut butter on your toast for breakfast...go right ahead! It's all good. But remember that your favourite peanut butter is versatile enough to be a star player in countless other recipes and meals too. What do you like to make with peanut butter? Visit www.sticktogether.ca for more delicious and easy recipes that are fun for the whole family. 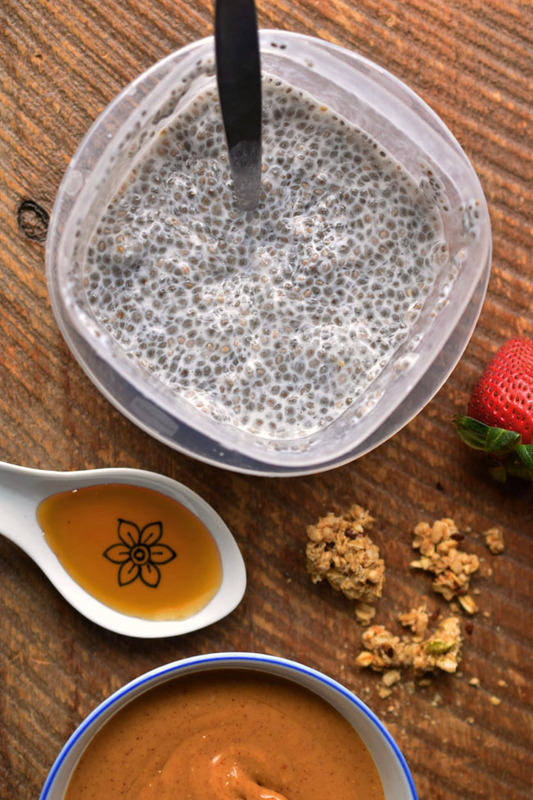 In a small lidded container, mix coconut milk beverage, chia seeds and maple syrup. Put on lid and shake gently. Put in fridge for four hours to overnight. If possible, shake the container once in a while to reduce clumps. In the morning, layer the ingredients in a jar or serving bowl. Here is a suggested order (but you can arrange as you wish! ): 1/3 of chia pudding, 1 Tbsp jam, 1 Tbsp granola, 1/2 of banana slices, 1/3 of chia pudding, 1 Tbsp Kraft All Natural Peanut Butter, strawberry slices, remainder of chia pudding, 1 Tbsp jam, 1 Tbsp granola, remaining 1/2 of banana slices. Top with remaining 1 Tbsp of peanut butter and the hemp hearts. Enter using the widget below for a chance to win an amazing grand prize including a $300 VISA gift card and yummy Kraft Peanut Butter products! A great prize to get you on your way to creating delicious recipes with family and friends. Good luck! *Although this post has been generously sponsored by Kraft Heinz Canada ULC, the opinions and language are my own. My favorite peanut butter recipe right now is Cheerio Snack Bars. My toddler is obsessed with them and I love them too. It's just Cheerios, peanut butter, and honey. A bit like rice krispie treats, but much healthier and no added sugar. I'm doing low carb at the moment, so I add a tablespoon of peanut butter to my chocolate (vegan) shake in the morning. Makes it significantly more interesting. That looks so good and nutritious! Thank you for sharing, I save it and will try it! This looks so so good. I'd totally make this or change it up with different fruits! I too have yet to try chia, but this would certainly get me to! I love peanut butter. I mix peanut butter with roasted vegetables to make a sandwich spread. I have to get more adventurous with peanut butter ! LOL This looks like a great recipe much better than the peanut butter and toast I have everyday ! PB and Banana sandwiches are the best and so healthy for you . adding peanut butter to smoothies is a new thing over here.....can't get enough! I like to make (and eat) Peanut Butter Rice Krispie Squares. Pb and j is seriously the best combo ever created! This combo + chia pudding? Amazing!